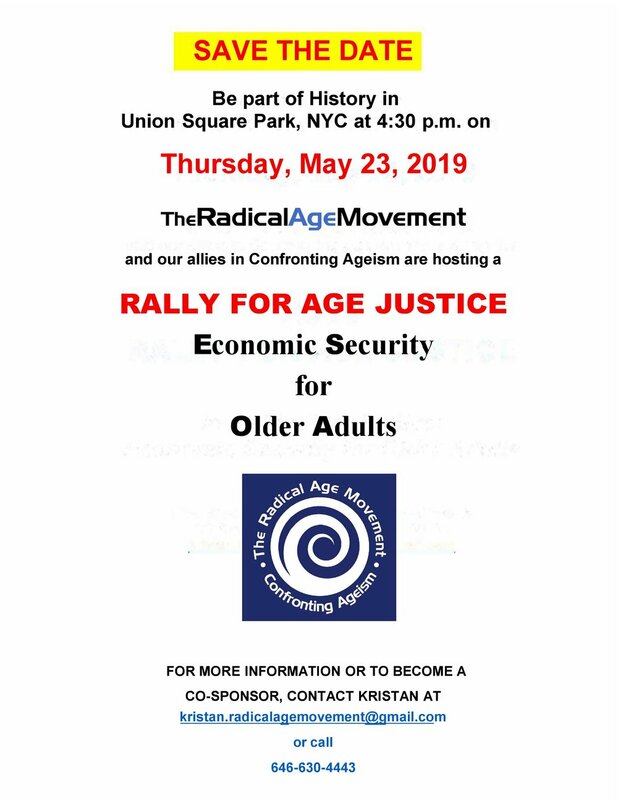 The Radical Age Movement is the lead organization for the 2019 Rally for Age Justice, to take place in Union Square on Weds. May 23rd, at 4:30 pm. The focus of this year’s Rally is Economic Security for Older Adults.